Published on August 10, 2012 in Finance, General T&T and Protest. 3 Comments Tags: Abuse, Bank, David La Caille, Discrimination, FCB, First Citizens Bank. 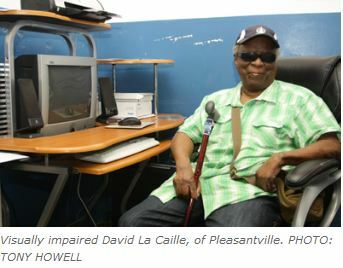 A blind worker is calling for an investigation into alleged discrimination at T&T’s state-owned First Citizens Bank (FCB) claiming he was denied a bank card because of his disability. David La Caille, of Pleasantville, said he was amazed at the discourteous service meted out to him when he went to FCB’s High Street, San Fernando Branch to open a savings account on Tuesday.